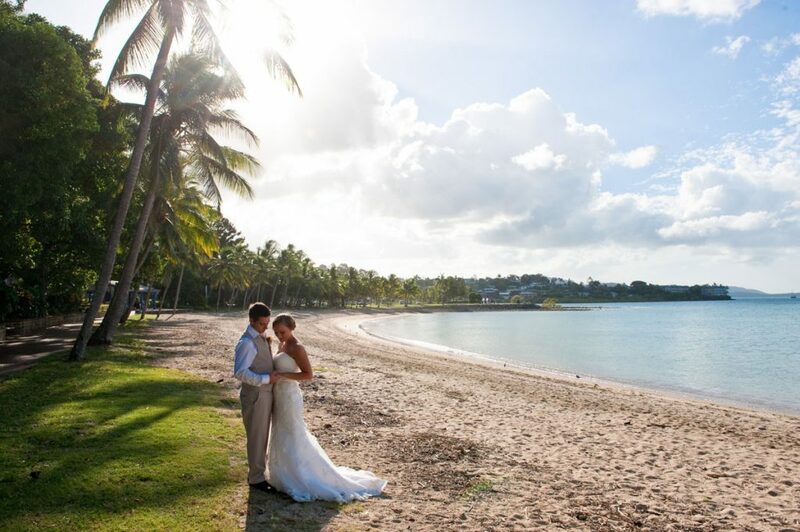 The Whitsundays are a wedding mecca, drawing couples from all over Australia and the world with the stunning natural backdrop of the Coral Sea and 74 islands. 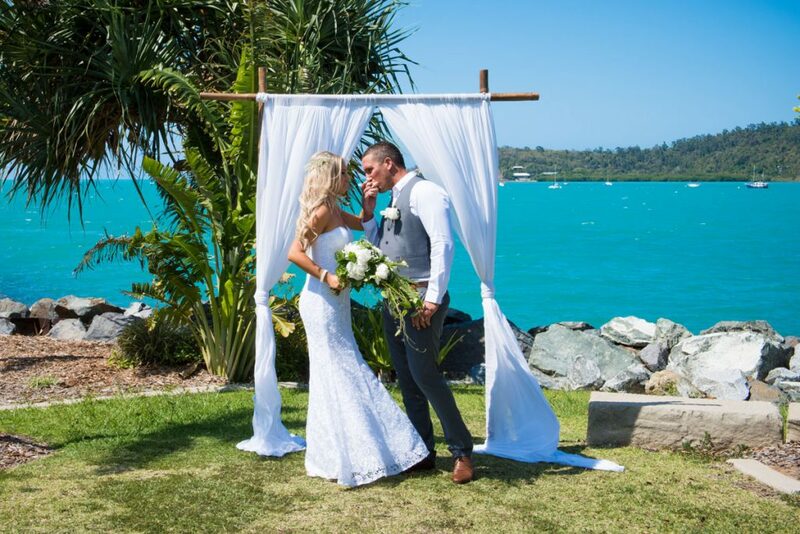 While there are many excellent Whitsunday wedding venues to hold your ceremony, some couples are opting for the relaxed ambience of an outdoor service in a foreshore garden or shady park. Getting married on public land brings its own special considerations and this is where a wedding planner or coordinator can be worth their weight in gold. 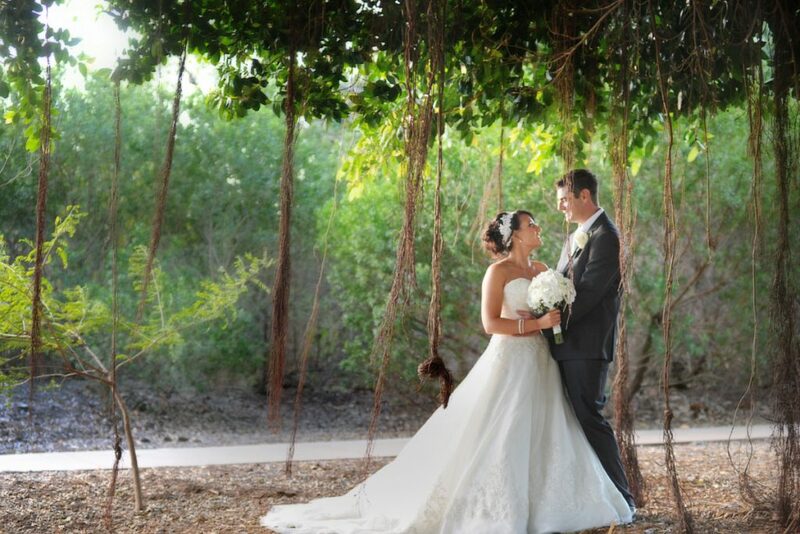 He or she will sort out all the details for you, while you relax and enjoy your special day with family and friends. 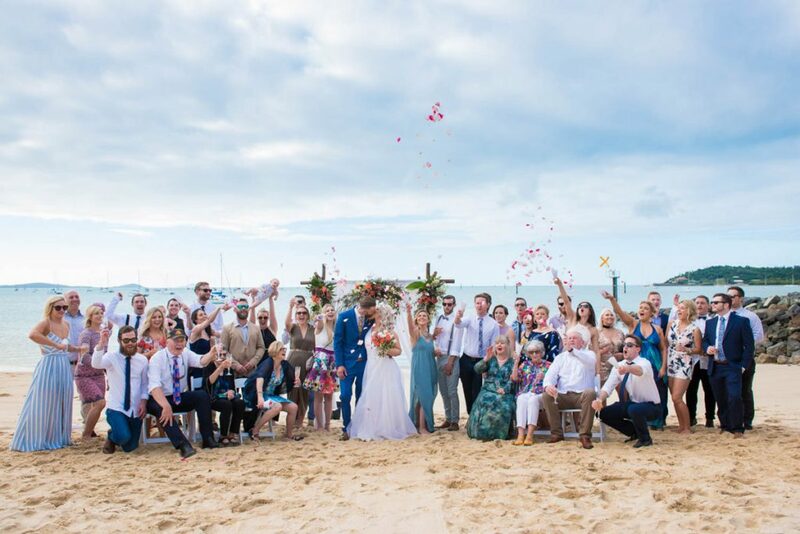 The Whitsunday region boasts four experienced wedding planning/coordination companies and here, especially for you, are their insider tips and tricks, having done this many times before! 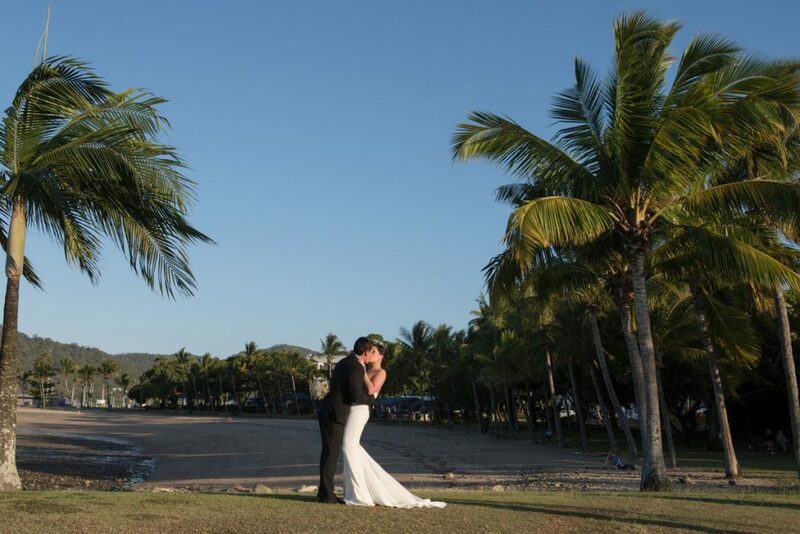 The Whitsundays are blessed with stunning natural beauty and there are many places to tie the knot, from lush tropical parks and gardens, to waterfalls and characterful foreshores. 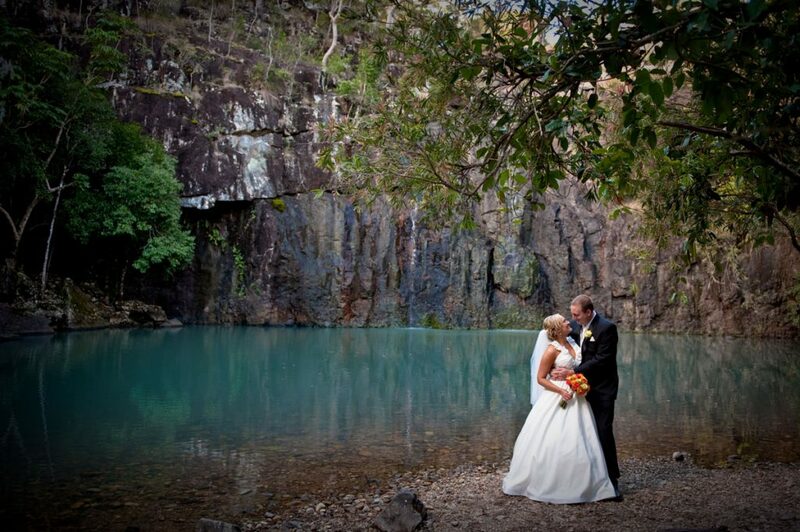 Make the most of this natural setting when you set up the wedding. You could, for example, marry beneath the canopy of a magnificent old fig tree on the Airlie Beach foreshore or under the shade of a foxtail palm in Headland Park. Make the most of all your photo opportunities and choose the best location or backdrop that will look beautiful in pictures. 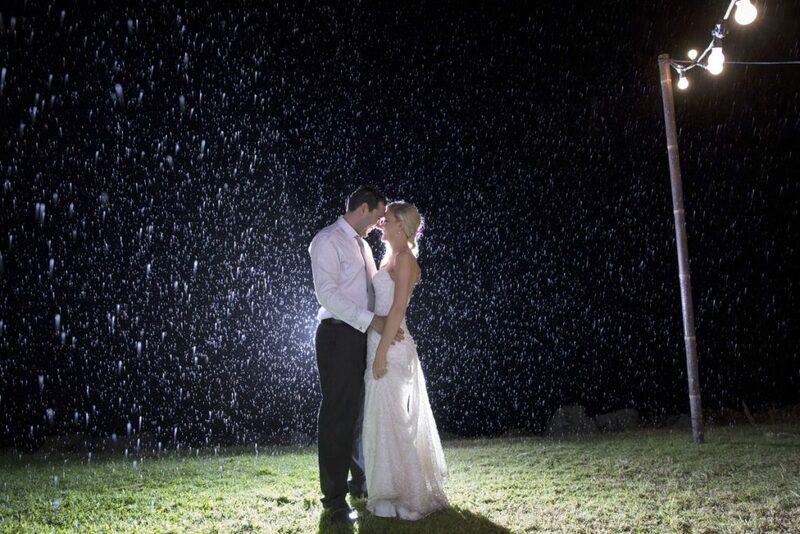 When marrying amongst nature you also have to take into consideration the timing of the ceremony. The middle of the day might be too hot for some of your guests and you might want to consider exchanging your vows early in the morning or late in the afternoon (when the sunlight is a lot softer and more flattering), possibly seguing seamlessly into sunset drinks. A local wedding coordinator will be able to give you the “inside track” on which locations are most suitable for certain times of the day, given the position of the sun. They will also help you avoid busy times of the day and advise of community events, such as markets or outdoor concerts, which could interfere with your ceremony. Is the location far from guests’ accommodation and will they be asked to walk to the ceremony in high summer (and consider ladies in heels, which can sink into grass). Is parking available or will transport be needed? If so, who will organise this? Will there be adequate shade and will water be provided? How close are the nearest amenities? A permit is required to marry on council-owned land and while a couple can organise their own permit, it is a very lengthy form that needs to be witnessed by a JP. It also requires sighting of all supplier public liability insurance (as well as your own public liability insurance). This is where engaging a wedding coordinator or planner can really expedite the process, leaving you time to enjoy trips to the islands and reef with your guests. A coordinator can also liaise with council on the wedding date to ensure there is no double booking, the area is not scheduled for gardening work and the sprinklers don’t come on during the service! Not only is this common sense but it will be required for the council permit (see above) and must be for a minimum of $20 million cover. Couples can take out their own single-day public liability coverage (shop around to get the best prices). Alternatively, engage a wedding planner, who will have the sufficient public liability through their business to cover the event, so the bride and groom do not have to take out any additional coverage. Be prepared for unexpected guests and onlookers! Your wedding planner will do their very best to keep onlookers at bay but it is a real possibility that you will have other people watching on. Everyone loves a wedding and people enjoy seeing couples proclaiming their love for one another. The best thing is to have a sense of humour and laugh it off and if you can’t do that, you might want to consider one of the wedding venues that offer our stunning natural environment in a private, controlled setting. This was the number one tip from all our coordinators and planners, as even the Whitsundays do have the odd showery day (we call it liquid sunshine). A spot of rain doesn’t mean you have to abandon the whole idea, it just means you need to think about an alternative venue if the weather does prohibit you going ahead with your original location. 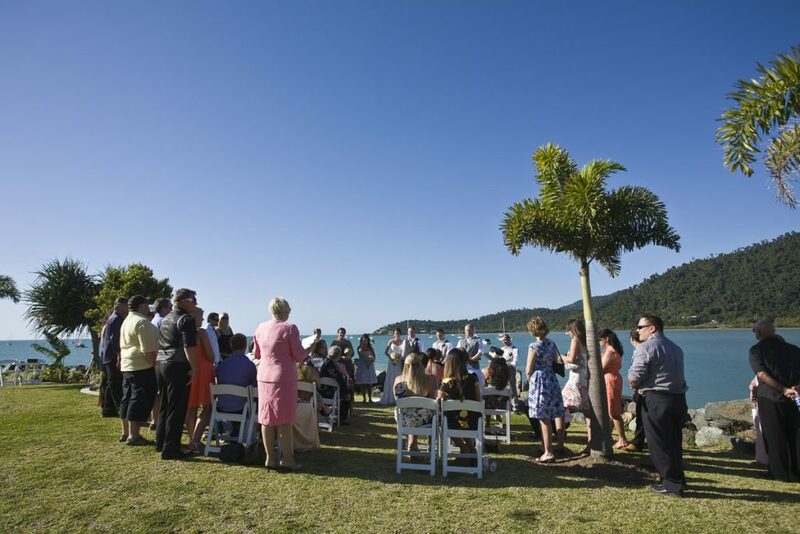 In the Whitsundays we are lucky, as for nine months of the year you can expect lovely warm days with often not a cloud in the sky – but talk to your coordinator about an alternative venue just in case. 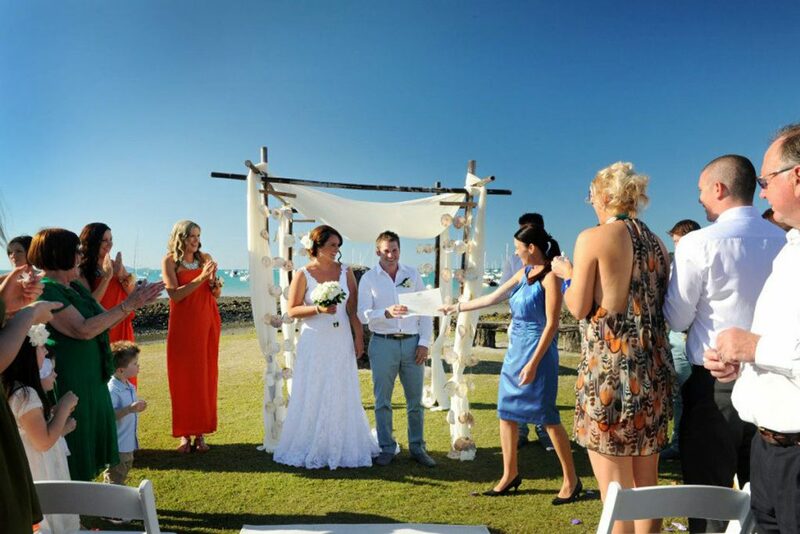 Headland Park, just off Boathaven Beach, looks out across the Coral Sea and back towards Port of Airlie, and is a favourite spot amongst Whitsundays wedding planners and coordinators. It is especially popular during peak times as it is a touch off the main street and usually frequented by locals rather than tourists. 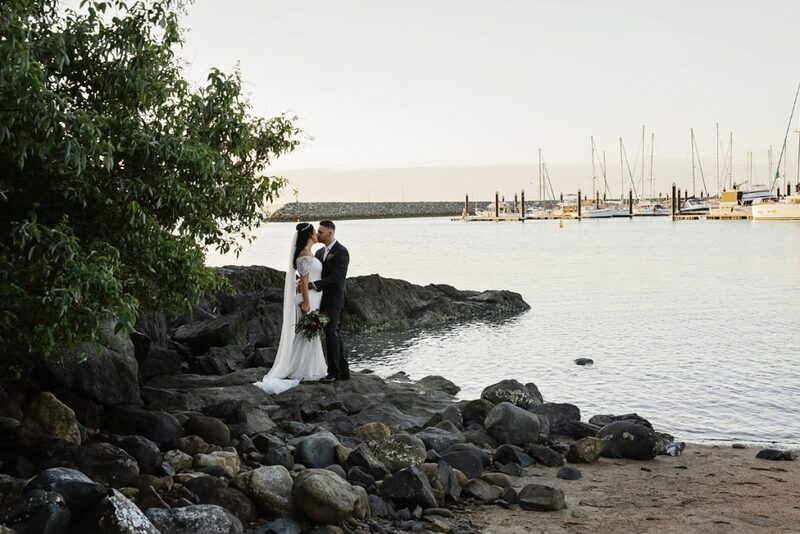 The beautifully manicured lawns and spectacular Rainbow Shower trees at Shingley Beach make this a very popular location for wedding ceremonies, not to mention the view of Double Cone Island and Abell Point Marina. On the Airlie Foreshore there’s Anzac Point, a grassed area right on the water’s edge with wrap-around sea views, or the parkland next to the sailing club where there is use of a rotunda if required. For something a little different, Cedar Creek Falls is a magnificent backdrop (early in the year is the best time when the falls are running) and Snows Beach at Shute Harbour is a quiet, sheltered little beach away from through-traffic and onlookers. The quaint little outdoor chapel on Mandalay Road, just a short drive from Airlie Beach, affords a beautiful view of Airlie Beach in the distance across Pioneer Bay. 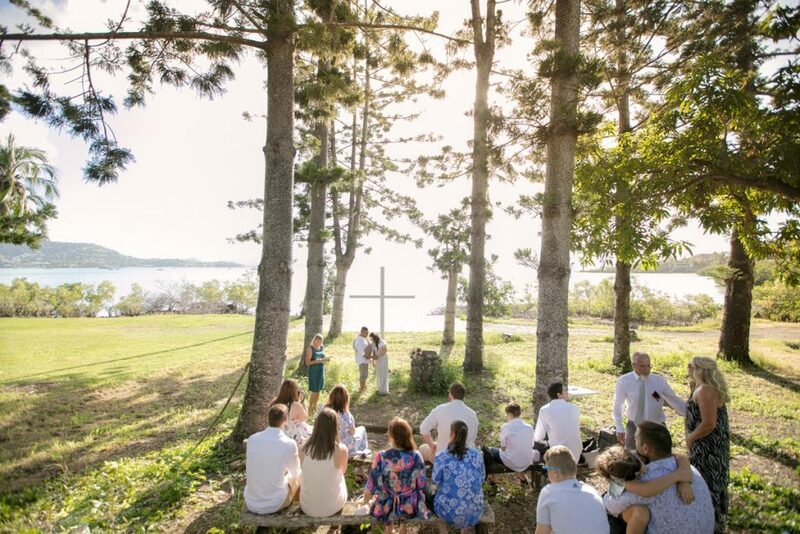 The rustic chapel – some timber benches facing a lone white cross looking out over the ocean – is surrounded by picnic grounds but there are no toilet facilities or power at this secluded site.